It was the season of 2013 when I first strapped a Stone Glacier pack to my back and set off into the mountains for elk, mule deer, and sheep. That season totaled up to over 55 days in every imaginable condition. The frame was the original Krux with a Solo bag and I was impressed with its feathery weight, trim bag, and load hauling ability. Over the next several seasons I’ve used and abused that same Krux frame with a Sky 5200 bag and an Xcurve with a Sky Archer 6200 bag and a Sky 5900 bag. Therefore, when I first saw the trimmer version of the Krux frame with an updated belt (called the Krux EVO), I was excited to start testing and comparing it to the rest of the Stone Glacier lineup. Along with a new frame, a new trim minimalist bag called the EVO 40/56 was announced. 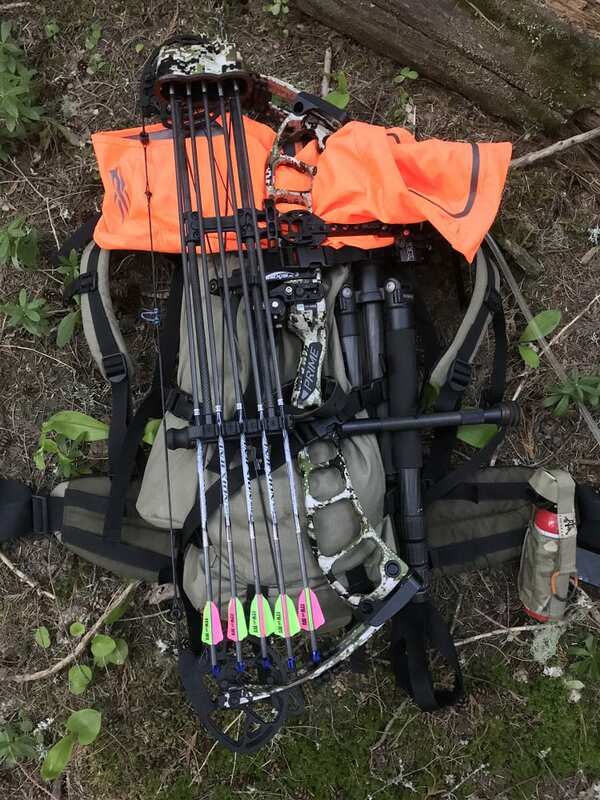 My test of this frame and bag started off with trips into the mountains for spring bear hunting, then summer backpacking trips finished with five weeks of elk hunting. Here are my thoughts. 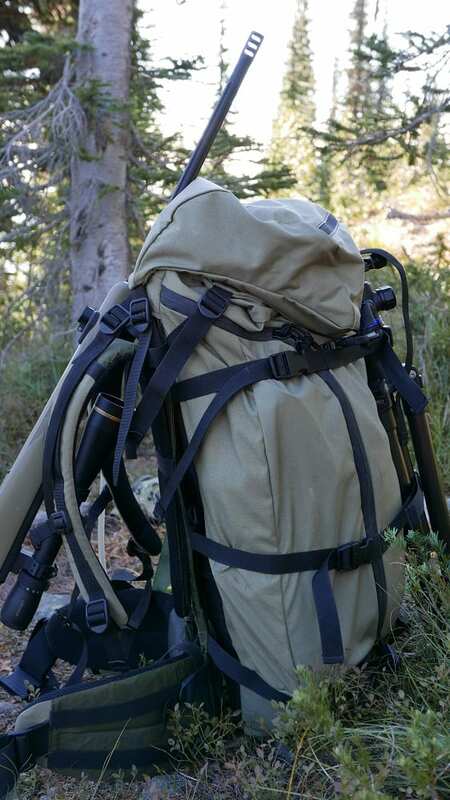 The EVO 40/56 bag is 4000 cubic inches (in3) in bivy mode and 5600 in3 with the collar extended and a top lid attached. 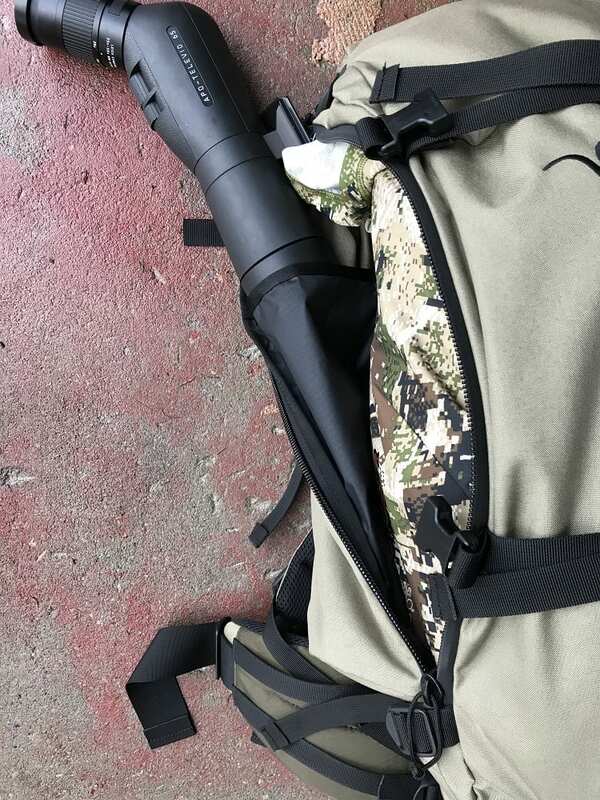 There is a 25-inch side zipper accessing the main bag and the built-in spotting scope pocket. The scope pocket is large enough to fit all sizes of spotting scopes and rides outside of the main bag. Because overall weight is the driving factor in this pack’s design, it is devoid of other side pockets. There are three compression straps on each side and two across the back. The frame is an optimized Krux frame. Any unneeded material has been eliminated. The stays are carbon fiber and the fabrics are durable X-Pac and 500d Cordura. The frame alone weighs in at 2.4 pounds, and with the EVO 40/56 attached it weighs 4 pounds. 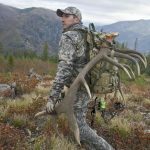 The frame height is 26 inches, which is in the sweet spot to provide a low profile carry yet ample shoulder lift to make heavy loads comfortable. And like most other Stone Glacier frames, it has a built-in load shelf that can be used with or without the bag attached. There is an optional removable 500 in3 top lid that’s one piece with a single zipper to access the interior. The waist belt on my test pack has been updated for comfort. My medium belt fits a 31” to 36” waist. The front buckle and straps pull forward to adjust and lock. The sides of the belt have two individual tension straps for a fit that wraps around your upper hips. There is space on the outside of the belt for accessories, which are secured with horizontal tension straps. The lumbar pad which is centered between the wings of the hip belt can be adjusted by varying the thickness of the foam. It is covered with a tacky fabric to minimize pack movement in the lumbar area. The shoulder straps and the waist belt are covered in open mesh fabric. The external two-way side zipper is useful to access the contents of the main bag. This zipper type has become my preference over a top loading or back zip design. The lack of side pockets means no place to slip a full-size Nalgene bottle, trekking poles, or a tripod. However, the side compression straps on the 40/56 hold a tripod securely and readily available. The scope pocket was useful when packing my spotting scope, and when I didn’t have the spotter along, I packed frequently used items such as gloves and a headlamp into it. I also added a small Stone Glacier Camp Pocket to the interior of the main bag to keep my Delorme and first aid kit readily available. These two features were enough to keep things organized and efficient for my style of hunting. 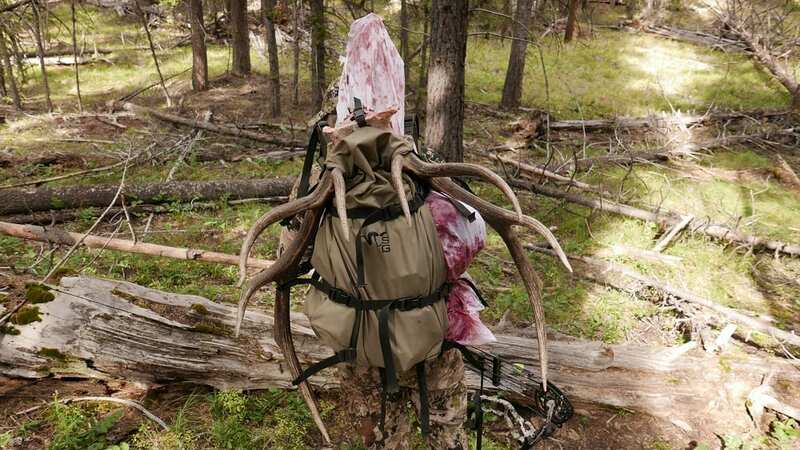 The X-Pac fabric on the frame, load shelf, and back of the bag are waterproof, which allows for easy cleanup of blood and keeps the interior clean and dry. The fabric on the main body of the bag is 500d Cordura. It generates some noise when scraping tree branches and brush, but it isn’t any noisier than the fabrics found in other high-end packs. The Krux EVO shoulder straps perform like the straps on the other Stone Glacier frames. They are well padded and comfortable, with mesh backing making them breathable. The suspension and waist belt didn’t cause any hot spots or pressure points from slippage or poor fit. The breathability of the padding is on par with most other packs on the market and the back panel is above average due to the gap along the spine. The waist belt is the same size and shape as the Xcurve belt but isn’t as rigid at the belt-to-frame interface. This makes for a slightly less efficient transfer of weight to the user’s hips. This isn’t to say the belt is uncomfortable, it just has a more flexible feel. I never noticed a difference until I got over 100 pounds on the frame. Even then it wasn’t uncomfortable, just somewhat more fatiguing over a long pack-out. 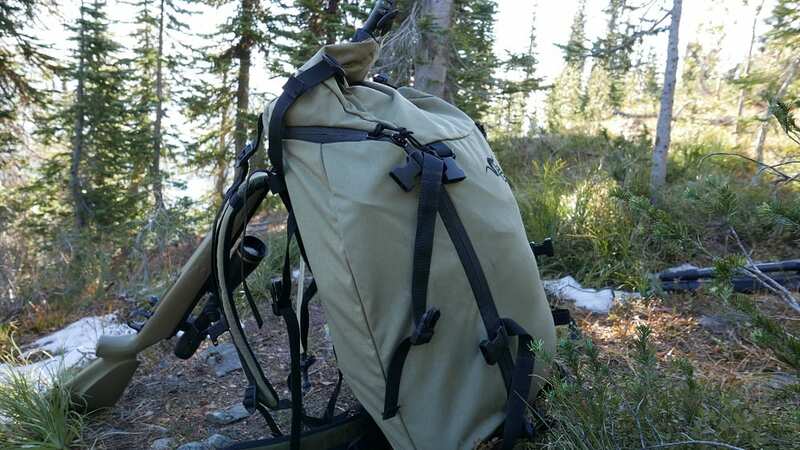 The majority of the heavy loads I carry out of the mountains are in the 75 to 85-pound range where the pack feels comfortable, balanced, and efficient. Over the course of use, the belt stayed tight and didn’t slip under heavy loads. The Krux EVO frame is similar in width to most other internal frame packs, which is a great balance between stability and bulkiness. 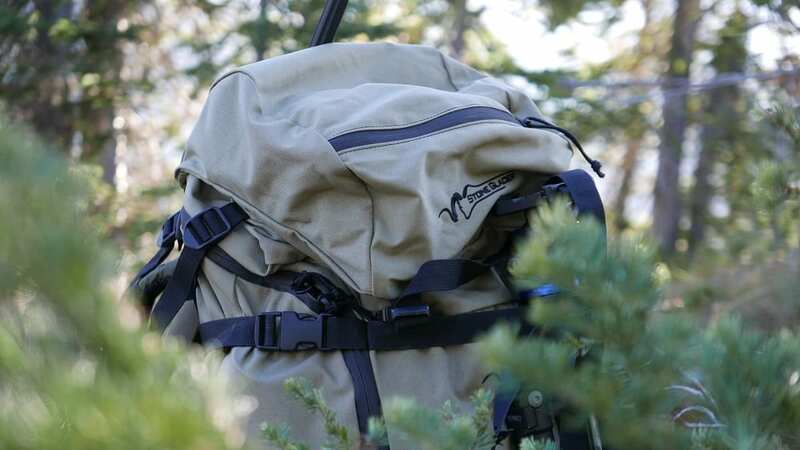 The 40/56 EVO bag, like most Stone Glacier packs, feels trim when compressed in day mode and stable when loaded down. The loads ride close to the frame with a low center of gravity maintained by the load shelf, which does a good job keeping heavy bags of meat snug and in the perfect position against the spine. 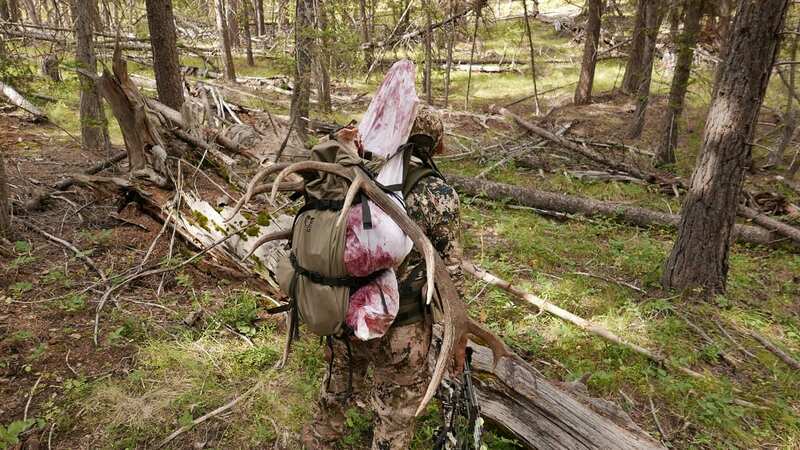 The ideal user is a hunter who needs a pack capable of trips up to seven days with basic gear and wants a trim, load-capable day-pack while hunting away from camp. This is a specialized lightweight pack for the ounce-counting ultra-light crowd, not for the hunter who wants lots of organization and zippered pockets. The Krux EVO is capable of hauling a load of camping gear and meat out of the mountains at the same time, making it ideal for most western backpack hunts. The pack is also well suited for a true minimalist who wants the lightest, trimmest pack available and is venturing out on long adventures of a week plus. 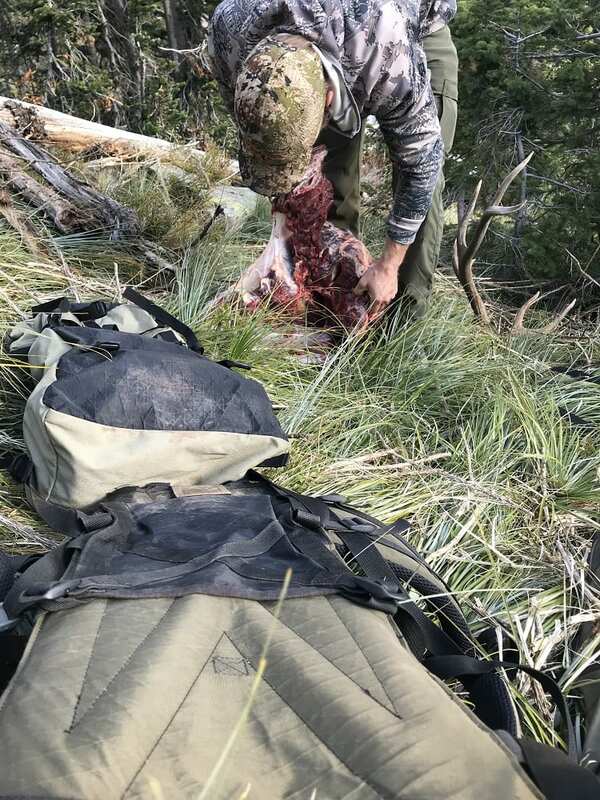 For front-country day hunts, this pack also excels due to its ability to compress and ride tight to the spine, but easily packs a large load of meat back to the vehicle. The Stone Glacier Krux EVO 40/56 retails for $582 and has a variety of accessories available like a top lid, swing out pockets, or belt attachments. 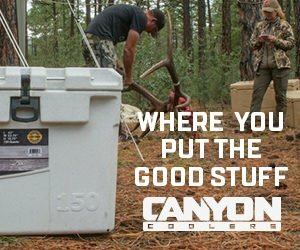 See the options available at Stone Glacier or 1Shot Gear.